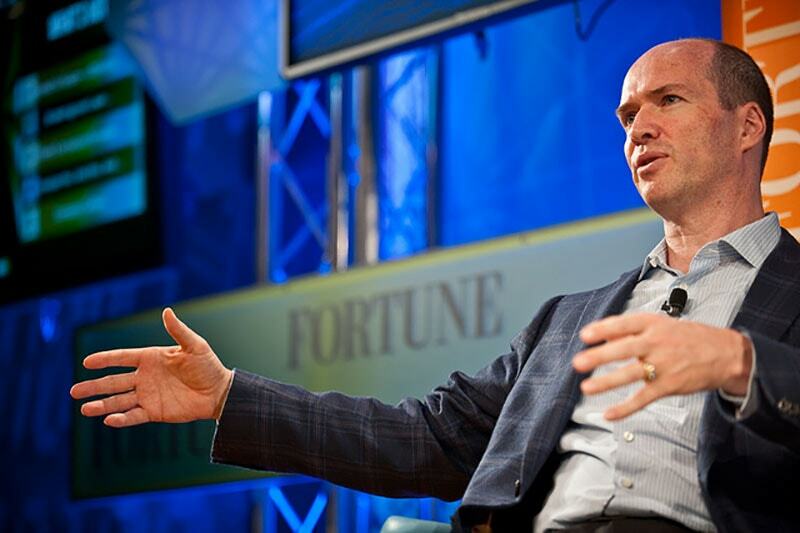 If you are one of those people who consumes every bit of Silicon Valley management science you can find, you will be familiar with Ben Horowitz, co-founder of the venture capital firm Andreessen Horowitz. If you aren’t — for some reason — his writing will be a breath of fresh air, compared to the rest. Horowitz was a little known figure for most of his time in the Valley, until his blog, swagger, swearing, and love of hip hop made him one of the most entertaining smack talkers and truth talkers in our industry. Sarah Lacy:How did you first get involved in Silicon Valley? I was actually a student at Columbia in New York. I got a summer internship at Silicon Graphics, and I had no idea what Silicon Valley was. I grew up in the People’s Republic of Berkeley. Berkeley is about as far from Silicon Valley as New York is, at least culturally. When I got that job, it was so shocking to me. One, how smart everybody was, how hard they were working, and the products. The Silicon Graphics products were crazy. I didn’t know there was a place in the world that was like that. At my prior jobs, I’d been a bus boy and a bellhop. Nasty jobs. Sarah Lacy:You hadn’t even had a white-collar job before? Yeah, no. It was my first white-collar job. I was just like, “Wow. This is unbelievable.” I wasn’t even reading about [this kind of technology] in school yet and we were doing it. It was awesome. It was the most exciting thing I could ever imagine. I came for the summer, I went back. But then I worked there three more summers and I joined as soon as I got out of school, because it was my dream. Sarah Lacy:Did you work very closely with Jim Clark there? That was Jim. He was both completely a genius and then he was a volatile…He was not manageable. He was the first instance that I understood of a guy who was completely brilliant, but he wasn’t somebody who was going to be managed and directed by the CEO. He was his own thing. Sarah Lacy:How would you compare Jim Clark in that respect to other Valley CEOs and founder sets? Because a lot of people describe other founders that way, but my understanding is Jim Clark was in a league of his own. Yeah, Jim was more extreme. He was both smarter than a lot of them …He was really smarter than anybody, almost. Here’s a guy who completely revolutionized computer graphics when he was a professor at Stanford. Silicon Graphics was so, so far ahead of its time. He really, really was a genius. But then he was also super-volatile. I’ll give a couple of stories. One was, I had just done this deal with Sun Microsystems when I was at Netscape. I had to put the deal all together for them to OEM, basically, all our products. It was a big deal and a lot of money and I was the product manager and I was really excited. But it was Jim, you know. He said whatever was on his mind, and sometimes it was the most genius thing of all time, and sometimes it was stuff like that. Sarah Lacy:When you see entrepreneurs come in now as a VC, and they have that Jim Clark essence, do you back them, or do you not back them? There’s obviously good and bad about it. Yeah. We really believe strongly — and this is something that took me a long time to learn — in strength over lack of weakness. We’d much rather take somebody with the great, great strengths and horrible weaknesses — which often go together — than somebody who is very good across the board. Jim was certainly like, yeah, you backed Jim Clark all day long, every day of the week, with all of his issues, and he understood very well his limitations. If you can get somebody who’s best in world either as a hire, a founder, or anything like that, that’s what’s required to build a great technology company. This isn’t an old company, and you’re not going to work for Walmart or something like that that’s more established. You’ve got to build something out of nothing and beat everybody in the world. For that, you need greatness, and you’ll deal with issues for greatness. Sarah Lacy:You’ve been in the Valley a long time. If you were to rank the top five founders or minds of Silicon Valley history, who would be on that list? That’s a hard one, because there are so many great ones. I’m going to just say some of my personal heroes — Andy Grove, who is probably maybe my all-time favorite. Andy Grove was the toughest, smartest guy ever to run a company in these parts. He escapes Hungary when he’s a kid, 18 years old, because, basically, the Communists are killing all the Jews, and he has to escape. He escapes on foot and runs across the border and gets himself to America. On his way to America, as an 18-year-old kid, they’re giving shots to people. It’s the late ’40s or early ’50s, and he spots, like one of the doctors was black, on the boat, and he’s like, “I’m getting a shot from him, because calculating the odds of a black man becoming a doctor in America, now very low. He must be a genius.” He gets the shot. That’s the kind of mind he had. He gets to America, and he gets himself into CCNY. He doesn’t really speak English, but he enrolls himself, I think, as a physics student. He flunks all his classes his freshman year, but he redoubles his effort. He studies, and he’s working full time, putting himself through school, and he ends up writing some of the most important papers in the field of electrical engineering. While he’s doing it, he would say, “At the end of the week, if I had done really well, I would spend a nickel and get a Coke.” He said, “I always felt guilty about not sending that nickel home.” That’s how tough he was. He ran Intel. The greatest pivot, probably, and the largest pivot in the history of the technology business was Intel, 14 years old, basically winning in the computer memory business, but the Japanese, through what were really illegal tactics, selling products for low cost, were putting Intel out of business. The best thing about him is he’s just so tough. He’s the toughest guy you’d ever want to meet, like Andy Grove is, like, hard. So, Andy Grove. Definitely Dave Packard and Bill Hewlett. What they did, what kind of culture in terms of organizational design, the early organizational design at Hewlett-Packard was…They let them go from an instruments company to a computer company, which is just amazing. Of course, Steve Jobs. Like so many of us, when he started, he wasn’t a really good CEO, his first time through at Apple. So much so that he actually hired his own replacement. He went out and recruited John Sculley. It wasn’t somebody made him do that. He went out and did that bad hire. But then he built Next, which was a company that didn’t succeed, but he really learned how to be CEO at Next. You can see how he developed as a manager, and then when he retook, over Apple, he understood enough of it to be super effective. One of the big philosophies of our firm is the founders are fundamental to the company succeeding. A lot of that I got from Bill, from his experience at Apple and what happened when they ejected Jobs. They clearly lost their direction by kicking him out of the company. They should have dealt with his weaknesses to keep his strengths. This is a classic strengths versus lack. Steve Jobs as one of the ultimate examples of that. His weakness is well-documented. They really are weaknesses. They’re not just part of the genius that he curses people out for no reason. That’s not genius. That’s just idiotic. I do think that there’s some question that building Next, when you go through a hard company build, there’s really something to that, “Is it replaceable?” That’s what was required to then come back and do the great things he did at the end. Sarah Lacy:You mentioned four now. Do you have one more? Is there anyone of this generation you would? I am definitely a big fan of Mark Zuckerberg and what he’s doing. That’s somebody who I’ve worked closely with. I met Mark in 2007. That’s when he was getting incredibly criticized. He was learning how to be CEO. The company was growing very fast. He had a staff at that time that didn’t necessarily believe in the long-term potential of the company. He was just a kid. It was a very difficult time for him. Watching him figure that out and become the CEO he’s become and the way the company runs is very, very impressive on a lot of levels. How they how they hire, how they think about titling, how they train people, how they organize is all extremely impressive, as a CEO observer. Sarah Lacy:Can you tell us about the first time you and Marc Andreessen met? I actually met him in the interview. That was the first time. We had a fine interview. The big confrontation that I had with him, which explains his personality then, was I was responsible for the server product line when I got there. We had two engineers working on servers and 120 working on the client, so the browser. But the story to Wall Street was, once Microsoft bundled the browser with the operating system, we were going to get all our money from the servers. We were going to sell the secure Web server with SSL for $5,000 and the unsecure Web server for $1,200. That was going to be how we were going to be this big company worth all the money. We had two engineers on it. We were building it up. Two months into the job, we get our hands on Microsoft’s product which was IIS. I benchmarked it out. It was five times faster than our product and then it had more features. It was like, “Uh-oh.” We knew it was going to be free. It was like we were in a ton of trouble. Sarah Lacy:Were you guys already public? Yeah, we were. We went public through that period. We were on our way to going public. Me and the late great Mike Homer were left to figure out, “OK, what are we going to do about the server product line?” We got this idea that Microsoft was going to have to charge for back office. If we could assemble this open back office, we could then reverse the whole thing. So we did. I bought two companies, one for mail and then one for newsgroups. Then we put in the proxy server. They cut this deal with Informix to get their database, the database which they were charging…the relational database. It was super-expensive. For $50 for unlimited Web users. Nobody was going to actually use it through the Web, because the Web was a toy. The reporter was very good. He got the whole story out of Marc, the pricing, all the components that was going to take on back office. I was so upset. I sent him an email, “I guess we’re not going to wait for the launch.” Just a one-line email. He replies and cc’s Mike Homer, who was my boss, Jim Barksdale, who’s the CEO and Jim Clark, who was the volatile founder. I got that email on the day he was on the cover of “Time” magazine. I brought home the email and the Time magazine and I showed it to my wife. You have to remember or you have to know, at the time, I have three small children and I really needed the job. She burst into tears. I was like, I’m in trouble. That was how my relationship with Marc started. I got here in late ’90s and I remember, when you guys were going public, everyone at the time just heaped onto it. “This is Marc Andreessen’s next company. This is going to reignite the markets.” Every press story was putting so much pressure on that IPO. Yeah, the IPO from Hell. They put out that story while we were on the road. The IPO from Hell, while we’re trying to get the IPO done. I should probably go back a step to describe. Let me give you the quick tour of it. We found the company, September 1999. By November, we raised money at $66 million post money valuation. By January, we have booked $12 million in business. By June, we raised money at a $700 million pre-money valuation. Nine months old. Then, the dot com busts, goes into full effect. Our customers start going out of business at an incredibly high rate, incredibly high rate. All private market money shuts down. Because we had grown so fast and because we were the first cloud computing company, we’d built out this cloud infrastructure, so we had a high burn rate. Sarah Lacy:You were helping companies get on the Web, essentially. We were helping companies get on the Web. At that time, you have to understand, the climate was very different. Venture capitalists used to ask me questions like, “What would you do if capital were free?” Which is like asking a kid, “What would you do if ice cream had the same nutritional value as broccoli?” That’s not really a good question to ask an entrepreneur. We’re burning like $20 million a quarter. We’re still growing very fast at that point but our customers are going out of business and we can’t raise money. Basically, the only way to raise money is to go public. We go public, 18 months old, $2 million in trailing revenue, 340 employees with a plan to do $75 million the next year. You got to remember, this is my first time as CEO. I start the company, all this happened and all of a sudden, I’m going public. That was my situation. I have to take it public or go bankrupt. I had six weeks of cash when we hit the road. The comparables were Storage Networks, Exodus, and Alchemy. From the time that we went on the road to the time we priced, they lost half their value. In three weeks, they lost half their value. The NASDAQ was down every day we were on the road. This “Business Week” article comes out with a week before pricing that says, The IPO from Hell. The night before. They were supposed to not publish it until after the IPO and it was supposed to be a puff piece because we gave them access. That didn’t go well. Then, the day before we priced, Yahoo! fired Tim Koogle, so that was the environment. By some miracle, we were able to get the IPO done. The initial price was $10. Three weeks later, we priced it at six dollars. That was going public for me. It was just awesome. The IPO, yay! I don’t know how much belief I had but I knew that I had gotten everybody into the boat with me. It wasn’t so much that I didn’t want to quit. I wanted to quit every day I was in that job. I felt like throwing up when I woke up in the morning. Sarah Lacy: You know what it’s like having a baby now? Exactly. I felt like I was pregnant. I’d hired every employee and they all trusted me. I’d raised all the money. I talked to every investor into putting their money in. I had given stock to my friends and relatives and they were all excited about the prospects for the company. When it went public, a lot of my friends from high school bought the stock because I was running the company. I felt like I could die but I couldn’t quit. One of the horrible things about being founder/CEO is it’s the one job you really can’t quit or if you do quit, you’re a punk. I didn’t want to be a punk, so I just kept peddling. It was rough and it didn’t stop there. That was LoudCloud. Eventually, five years later, we sold it to Hewlett-Packard [renamed and re-tooled as Opsware] for $1.6 billion, which I’m still shocked by that whole thing. I still wake up in the middle of the night going, are we going to run out of money? I wake up in a cold sweat and I’m like, wait a minute. I’m not running Opsware anymore. I can calm down. The people at Opsware, the people I worked with there, ride or die. I still love all of them. Sarah Lacy:You guys have brought a lot of them to Andreessen Horowitz. There are lot of them, too, and every one of them, if they need a job, they know who to call. Everybody who stayed with me…The people who quit, don’t call me, because I will not return it. For them to listen to me and stay with it, that was something that I don’t know if I’ll ever replicate in my life.